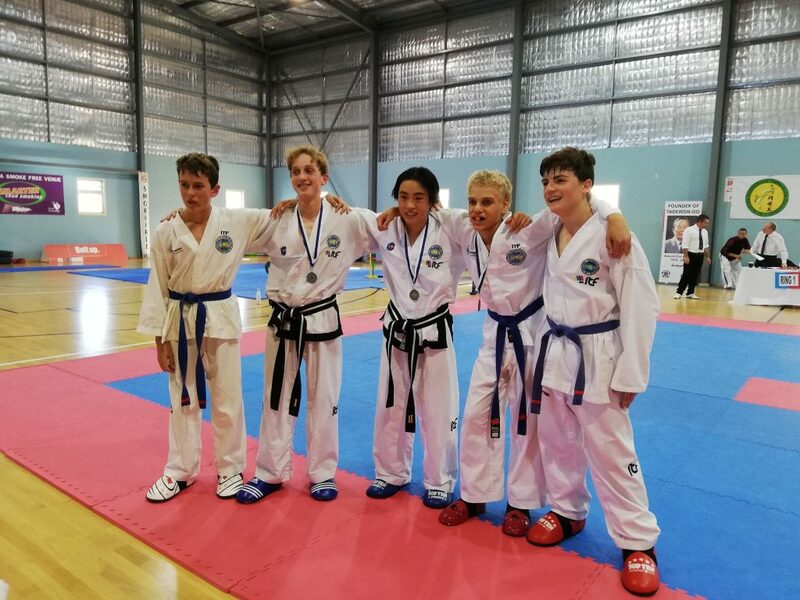 On Saturday 23 March 2019 the 23 strong Platinum Taekwon-Do team traveled the 415 kilometres from Perth to the historic coastal town of Geraldton to compete in the 19th Oceanic Taekwon-Do Invitational Championships hosted by 7th Dan Black Belt Master Jason Bradley. Competitors spanned from age 6 to 50 plus and gathered at the Red Ink Netball Stadium in the Geraldton city centre at 830 am on Sunday morning. Taekwon-Do tournaments allow athletes to compete as an individual and in unique teams and the Oceanic Taekwon-Do Invitational included a broad range of these events individual patterns, sparring, special technique, power breaking and team sparring and patterns. For the juniors there was also a circuit combining fitness and Taekwon-Do techniques. 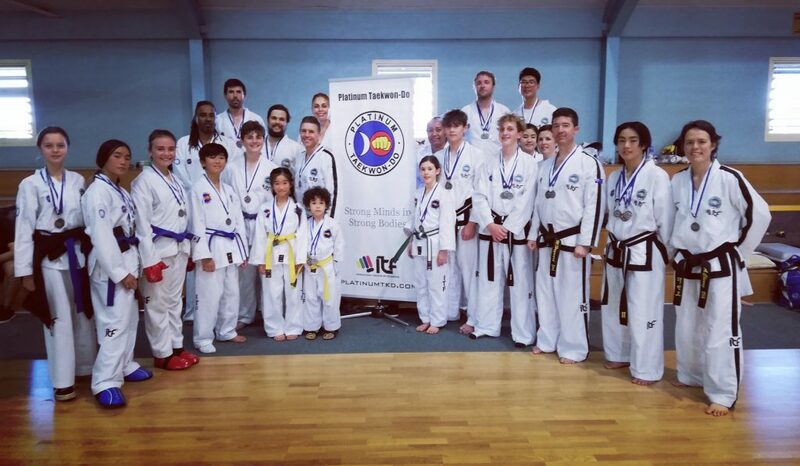 The Platinum Taekwon-Do team comprised of 13 juniors and 10 adults who performed very well across many age group and events with a final medal tally of 16 gold, 19 silver and 11 bronze. 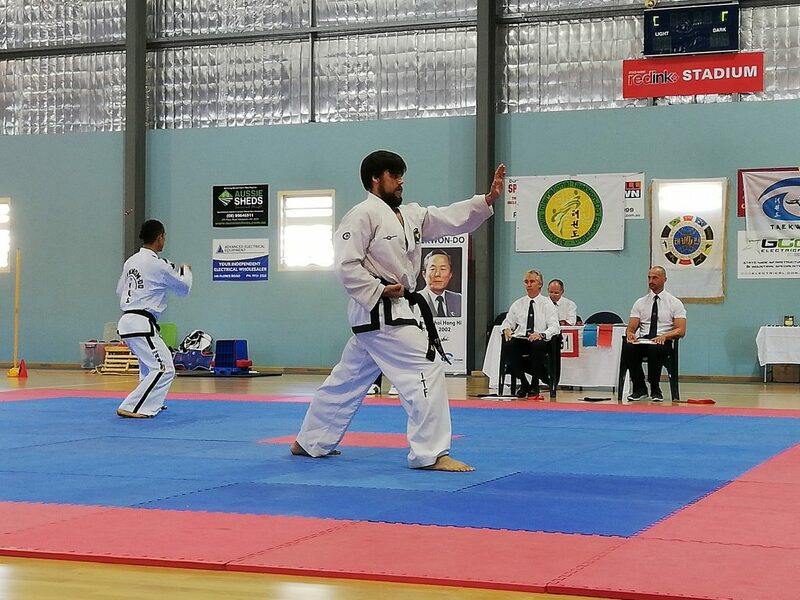 This event preceeds the 2019 ITF Taekwon-Do World Championships 22-28 April in Inzell, Germany where Sabum Paul Raymond will coach for the Australian team and fifteen year olds, Aiden Duryea and Isaac Blackwell will compete as Junior Black Belts in sparring, patterns and prearranged free sparring. The remainder of the Platinum Taekwon-Do team are looking forward to the WA State Championships in September.